Designing an over sized bedroom can be a challenge for you and your interior designer. It can become difficult to decide what should be in room and what should be removed from there. King size bed in such over sized bedroom will look great and you can place bed in the centre of room. Bed with wall in large bedroom may be avoided here. Now you have option to place bed in the centre of room or even at an angle in the room. Designing a room with too much furniture articles may make room look like a furniture store. We have some ideas to decorate large bedroom. Divide the room into two or three zones sleeping, dressing and lounging. Sleeping area can be the centre of room and a corner in the room can be used for dressing area. Use room divider to separate the sleeping and lounging area. Room divider can be of wooden or fabric. Avoid too much color for room decoration, mix and match can be your choice. A large bed headboard can also be used for room divider, place bed at the centre of room and an armoire or dresser can be placed with bed headboard. In odd shaped large bedroom, L-shaped dresser will look great and a lounging area with sleeping area is also a great choice. King size bed in a large bedroom with side stools and armoire can be your choice. Dresser with wall unit in such room will make the room look small. Avoid too much small ottomans and side tables in room. Choose large size recliner for lounging area. Purchasing furniture for large sized bedroom is not a difficult task; you can choose furniture easily according to room size and interior of house. There are lots of choices available in market for furniture. Your room is too big it does not mean that fill too much things in the room such as computer, music system, wall cabinets etc. All you necessarily need in the bedroom is bed, armoire, wall cabinet and dresser. A king size bed is better than normal bed in such room. Place the furniture in such a way that there is enough moving space in the room. 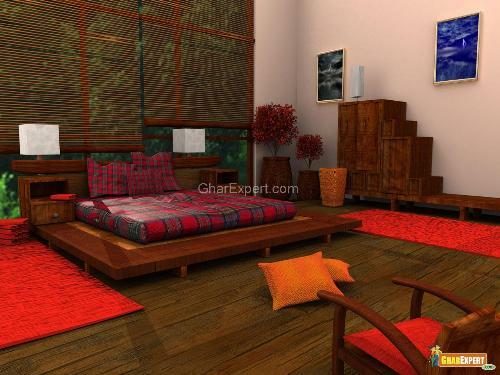 Room colors and furnishings have great impact on the room décor. Choose colors which you like don’t go with fashion. 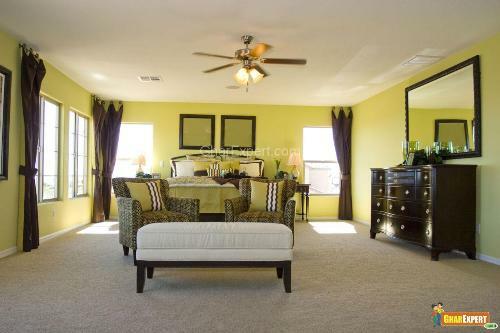 Warm and bright colors can look good in large bedroom but it may distract you while you enter the room. Cool and light shades go well in your room that will make room lively and inviting. Soft furnishings with light shades walls is a great choice for a comfy and inviting bedroom. Choose neutral colors for flooring and furnishings that will give soothing look to room. If you are going for mix and match curtain fabric than match it with bedding fabric. Whether you are looking for decorating ideas for large bedroom or small bedroom, decorate it with care and in your style as this is the room where your day starts and ends.